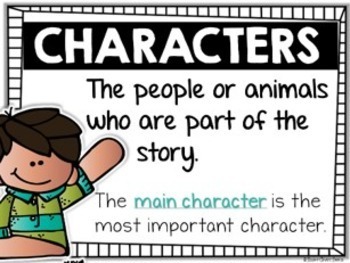 Story Elements: Teaching story elements is an important part of all primary grade curriculums. 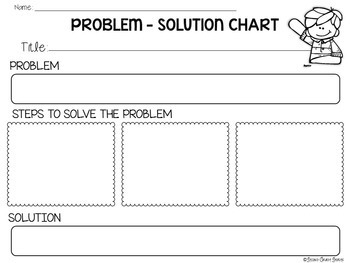 These posters and graphic organizers have used these sheets with students in real classrooms, so they are “kid-tested and approved!” The posters come in both color and black and white, so you can choose to fit the set that meets your needs. Most of the organizers come in two versions: one lined and one unlined. I find some students really need the lines, while others prefer a more open space. 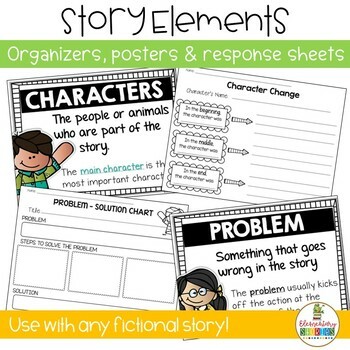 These sheets are great for book responses, partner work, formative assessments, etc. 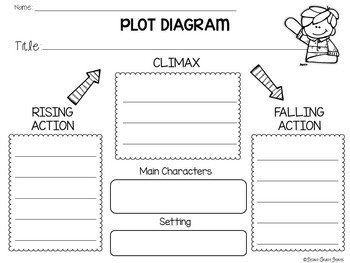 The sheets are simple in format, yet give students the opportunity to show their thinking about each story element, as well as a story summary. Be sure to take a look at the preview to see what is included!